Ad-compatible Streaming. Relay Free. Durable to Harbour Futuristic Trends. Stream on any medium. Upgraded for your convenience. High pixel rate, Customised lineups and Smart search options - enhance TV watching experience of your customer base with diversely accommodate solutions. Advertising and branding strategies provided by Vplayed clubbed along with the assorted monetization yields high-returns. Vplayed builds & delivers websites/apps under whitelabel discipline giving web owners their right to autonomy. Live or on-demand, Vplayed covers all video types under the spectrum with speedy transcoding to ensure buffer to become non-existent. Host your content in secured, highly protected servers at your own premises or on cloud of your choice with effulgent scalability. HLS player, a thoroughly customisable video player that enables HD streaming with no time lag makes streaming on any device a piece of cake. 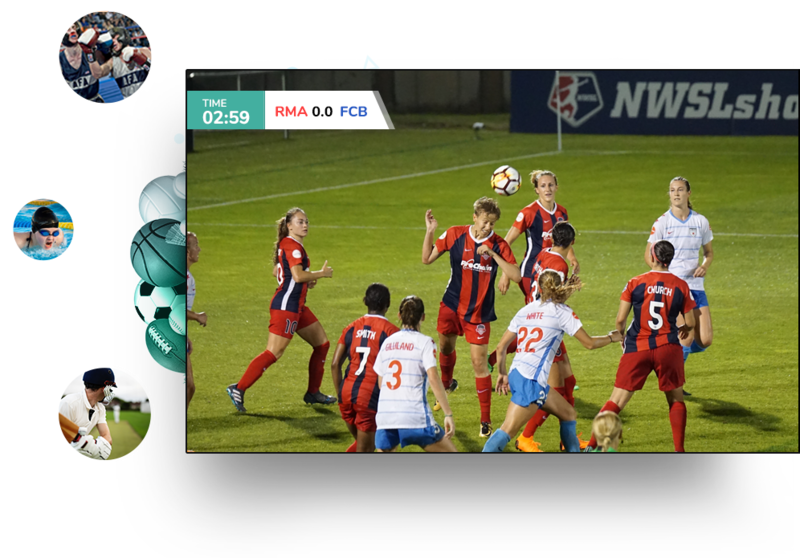 Vplayed employs AWS cloud to transcode and store video files for ultra HD streaming on the go that allows viewers, on-field like experience. Go a step ahead in your game. Integrate chat functionality in your streaming solution and create an ecosystem where your audience can socialise. Create higher engagement rates with affirmative real time analytics and individual video performance reports. Automate your marketing campaigns through segmenting, scheduling and tracking through Vplayed’s technologies for flourishing campaigning. Make your videos appear on search engines by optimising metadata. Our behind-the-scenes work reflect greatly on your website traffic. In-house search engines fueled with algorithms to display results corresponding to the meta tags & genres elevate overall site engagement. Ad monetization strategically placed on preroll, midroll or postroll according to the performance of videos brings out the most in revenue. Strategically placed enticing coupons and promotions relevant to customers bags astounding revenue.